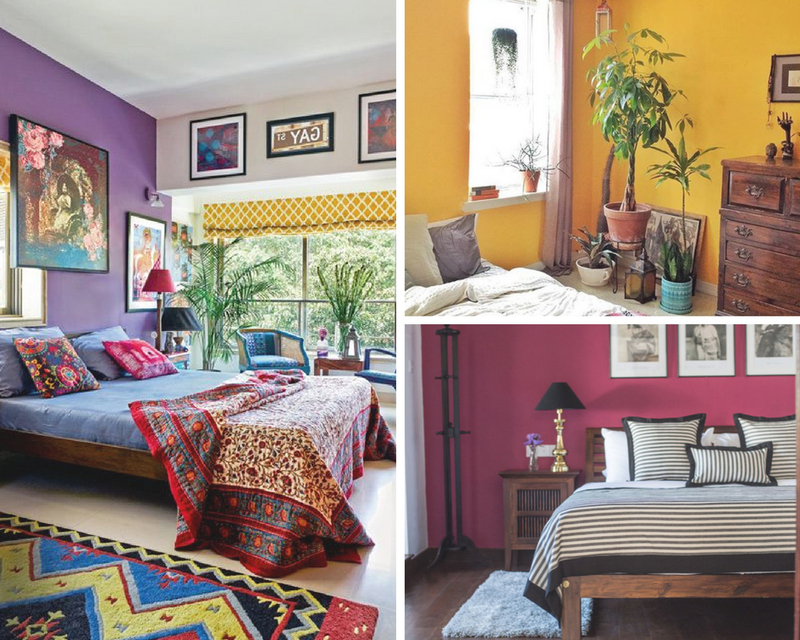 10 Asian Paints Colour Combination for Indian Homes -- Our Favourites! 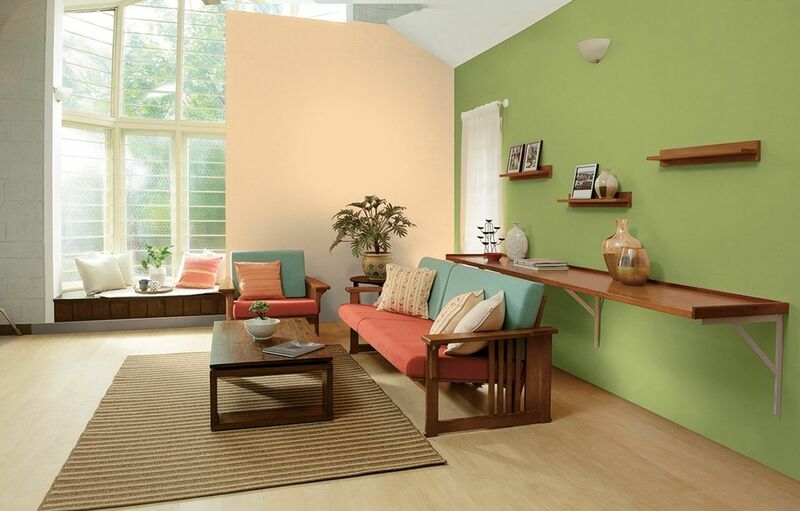 Having a tough time with the right Asian Paints colour selection for your rooms? 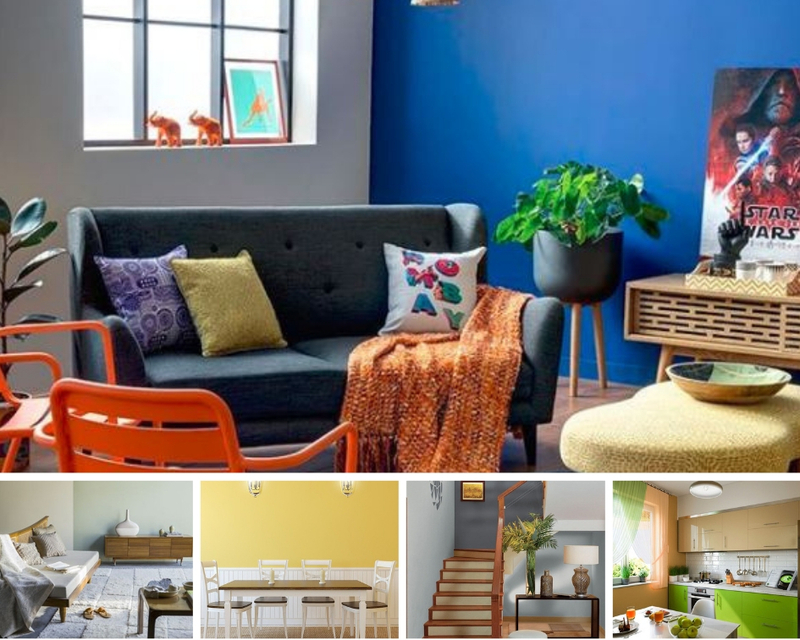 Well, we did the homework for you, voted for our favourites, and narrowed down the search to this curated list of our favourite Asian Paints colour combination. Check them out! Here are our 10 favourite Asian Paints colour combination for Indian homes. Blue is one of the safest colours for Indian homes, irrespective of the room you’re looking to paint. 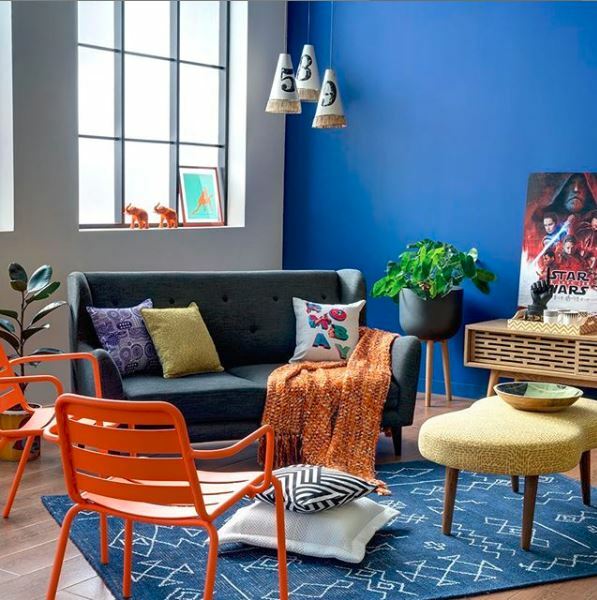 So let’s begin with some of Asian Paint’s trending colours for 2019 — Oriental Blue 1306 and Dark Ash 8776. This Asian Paints colour combination works especially well for a contemporary house with yuppy vibes. This is because the cool, vibrant blue is more than enough to infuse life and spirit into the room. 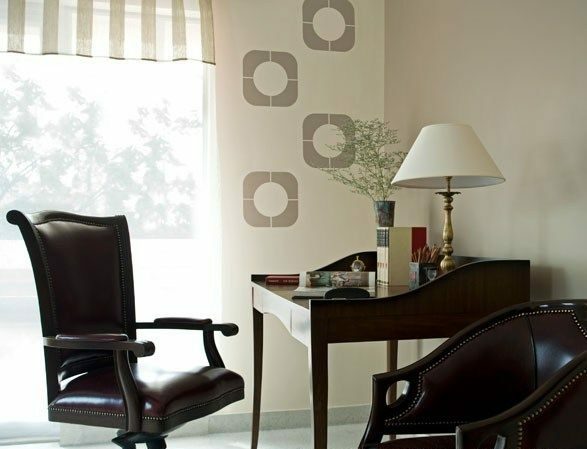 While the ash grey shade brings a calming effect and prevents the vibrancy from going overboard. No wonder then that these two Asian Paints colour shades are part of the brand’s Adulting trend this year. Tip! Decorate the room with smart, stylish and light-weight furniture and you’re good to go! 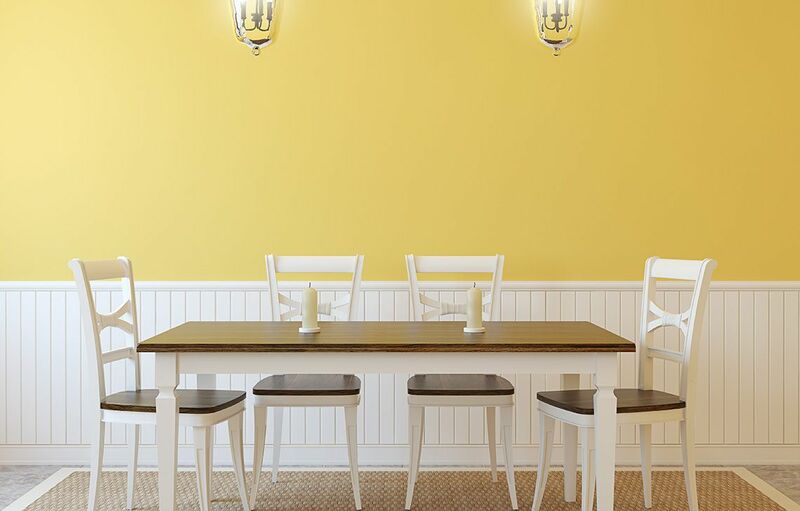 We’ve said this before and we’ll say it again — yellow is a wonderful colour for the dining room as it signifies togetherness. And one of the best yellows from Asian Paint’s catalogue is the Yellow Tulip. Neither too poppy nor too dirty, this subtle yellow livens up any room. Pair it with a subtle Cream Pie and you have a space that is inviting and inspires you to host people over for meals. As you can see, yellow is one of our favourites. And why wouldn’t it be? 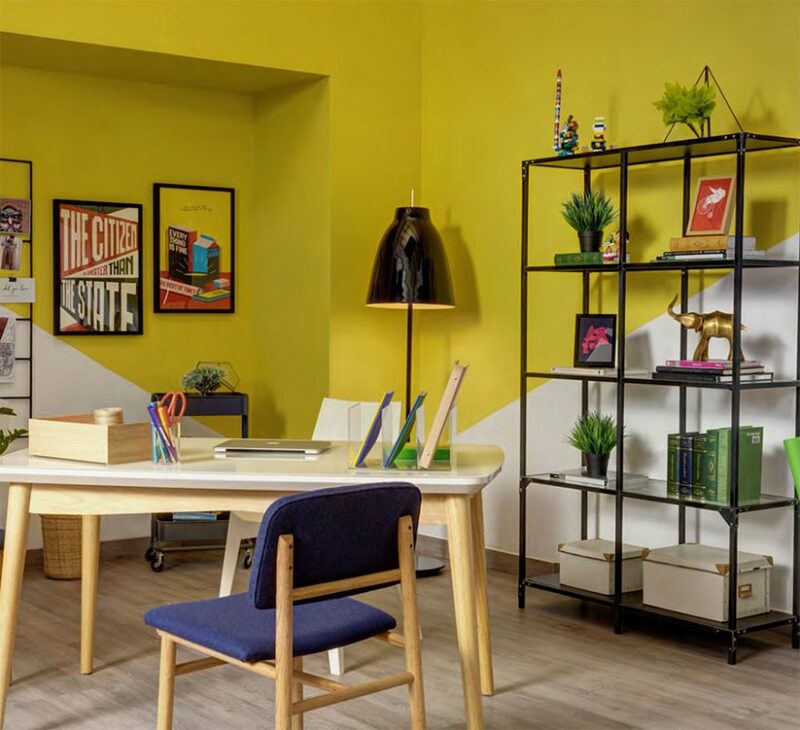 It’s a warm colour that suits our Indian homes to the T.
But why we picked Asian Paints’ Lemonade 7830 is for how it gives this room a cool quotient. And how do you up the cool quotient a notch higher? Pair it with Almost Ivory L156, but in a geometric fashion that goes with the trendy vibe of the space. Decorate the room with clean-lined furniture and quirky art prints, and we bet you’ll love this room as much as we do! Dual-toned kitchens are not just about the cabinets. You can achieve the look through kitchen walls too. And to this effect, the Passion Flower-Pale Sisal colour combination by Asian Paints is an amazing choice. We absolutely love the pastel vibes! Even a pop of this modern yet soft Passion Flower shade is enough to give your kitchen an upgraded appearance. We love how Asian Paints’ Plum Island on the accent wall gives this living room a plush appeal, perfect to give your guests a royal treatment. The Grape Delight on the ceiling, a lighter shade, opens up the room and helps it from looking moody. Therefore, together, both Plum Island and Grape Delight can give your room a sophisticated appeal but not an uninviting one. Lilac Dash (left) and Grazing Land (right) help create a calm and soothing space in your home, almost cocooned from the noise of the outside world. And that’s why this colour combination is part of our top 10 picks. 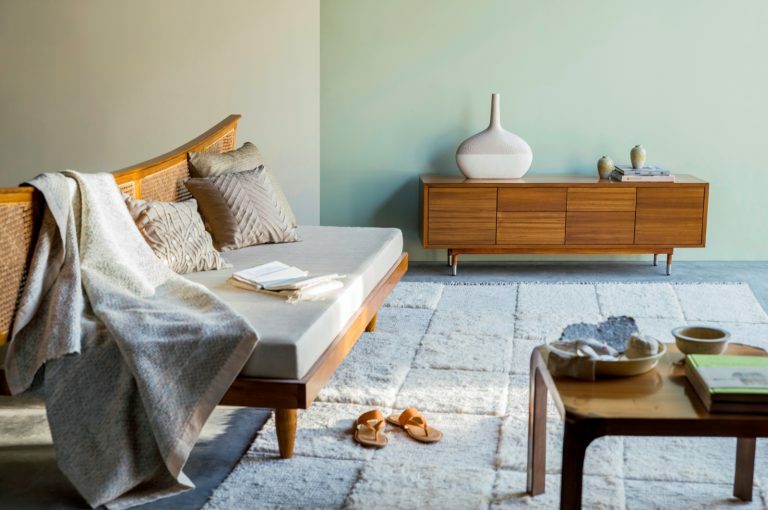 True to the ColourNext trend they form a part of — Slow Living — both colours actually inspire one to embrace the tenets of not rushing in life and sinking into the now. So if you too want a space in your home that is your go-to retreat, we suggest you pick these colours in combination! PS, this combination is great for the bedrooms too! 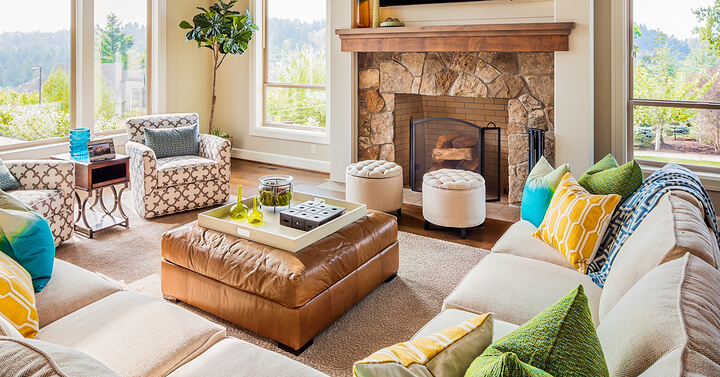 When you’re thinking of colour ideas for your living room, green is not an obvious choice. But we still picked this Asian Paints colour combination of Marigold and Greenery. Because makes you change your perspective on using shades like these inside the house, especially in the hall, which is exposed to guests and visitors. And look at how both these interior colours turn into a perfect canvas for solid wood furniture, a textured rug and some greens. The earthy vibes have our heart! Moreover, adding that pop of coral and sea blue, via the cushions, uplifts the room. Why neglect your stairway when you can give it an urbane touch with grey. Again, why restrict yourselves to one shade of grey! 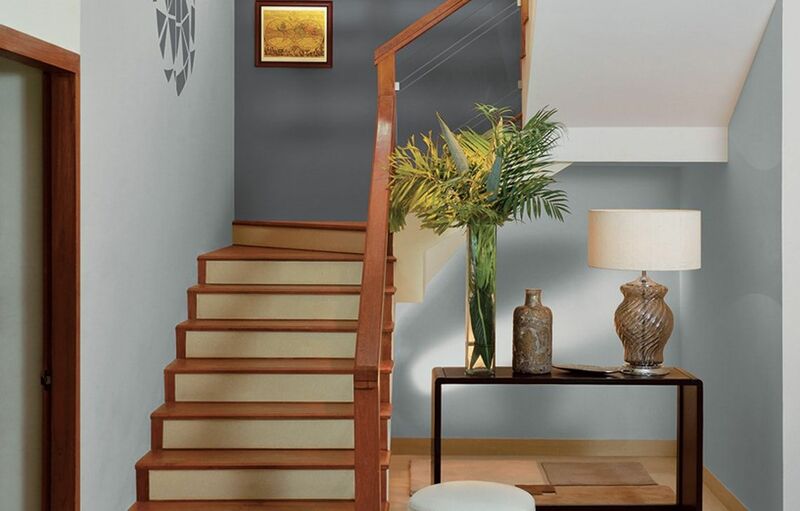 Going in for two shades — like the Fleecy Coat and Muted Grey from Asian Paints — gives your stairway depth and character. We especially love how these pair with the brown and beige of the staircase and make for a perfect background for plants and earthy decor. You know how reception areas of offices and hotels, as well as corner work spaces in most homes comprise of dark furniture with curves? Well, the Asian Paints colour combination of Butter Rum (right wall) and Sesame Seed (front wall) is perfect to give this old-school vibe a much-needed uplift. It doesn’t take away from the class and magnificence of the setting but instead gives it some depth and personality. Looking for a makeover for your work space without too much pop? Opt for this combination! 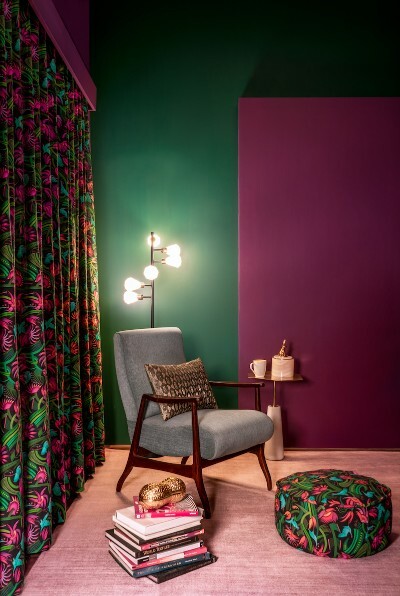 We love how by bringing this beautiful and latest colour combination — Plantation 9285 and Purple Galaxy 9607 — into a room, you can turn the space into an enchanted forest. Incidentally, both the colours are part of ColourNext’s Enchanted trend, which is all about a fantasy world of nature. 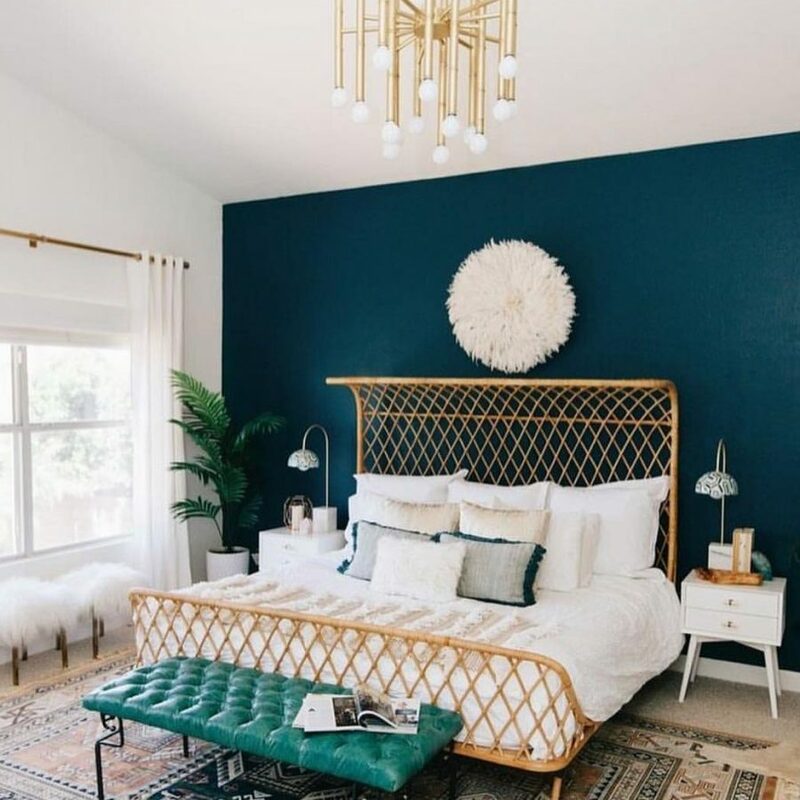 Even if you’re not ready to use both colours on your wall, use one on an accent wall and pick accents and furnishings inspired by the other colour. 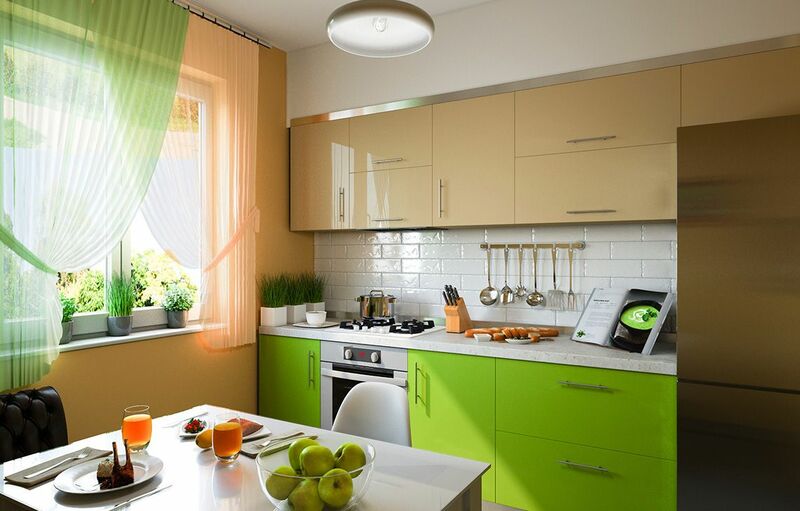 For colours you can pick blindly for your apartment, read this post on 15+ popular wall paint colours for Indian homes. 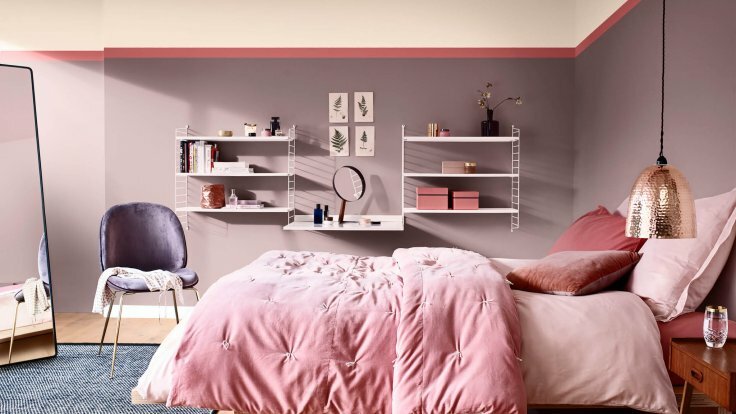 For something different for your bedroom but not too bold, read this post on 6 unique bedroom wall paint colours that work for Indian homes. 2 Your Most-Asked Questions About Wall Putty Answered!